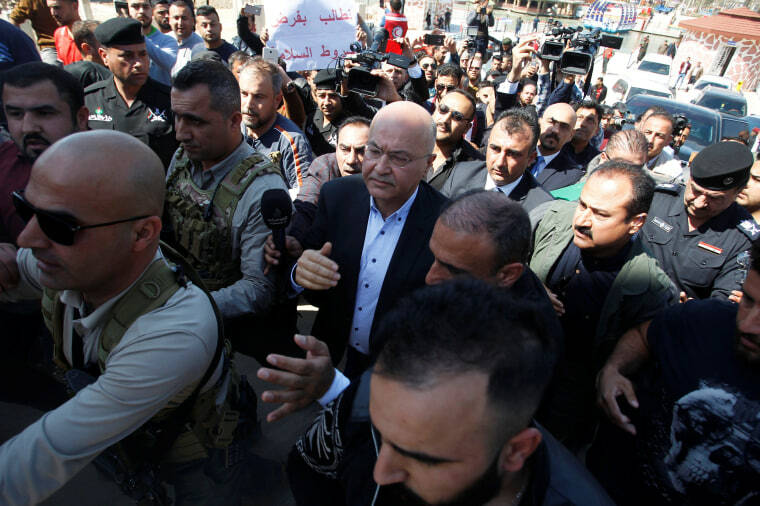 The visit to Mosul by President Barham Saleh came as search teams were still trying to find more bodies after the ferry sank. MOSUL, Iraq — Iraqi residents of the northern city of Mosul, angry over the sinking of a ferry in the Tigris River that killed 95 people, blocked a road where Iraq’s presidential convoy was passing on Friday, chanting “no to corruption” and pelting the provincial governor’s car with stones in protest. The visit to Mosul by President Barham Saleh came as search teams were still trying to find more bodies after the ferry, overloaded with holidaymakers celebrating both Nowruz, the Persian New Year, and also Mother’s Day, capsized on Thursday near the city with dozens on board, including families with children. The death toll on Friday rose to 95, after another body was found.